Snowbound, blizzard beaten, blister shoveling Readers, this post is for YOU! I'm right in there digging out, scraping off, and bundling up with you, if not physically, at least in spirit. I know what it's all about after living through Michigan winters. 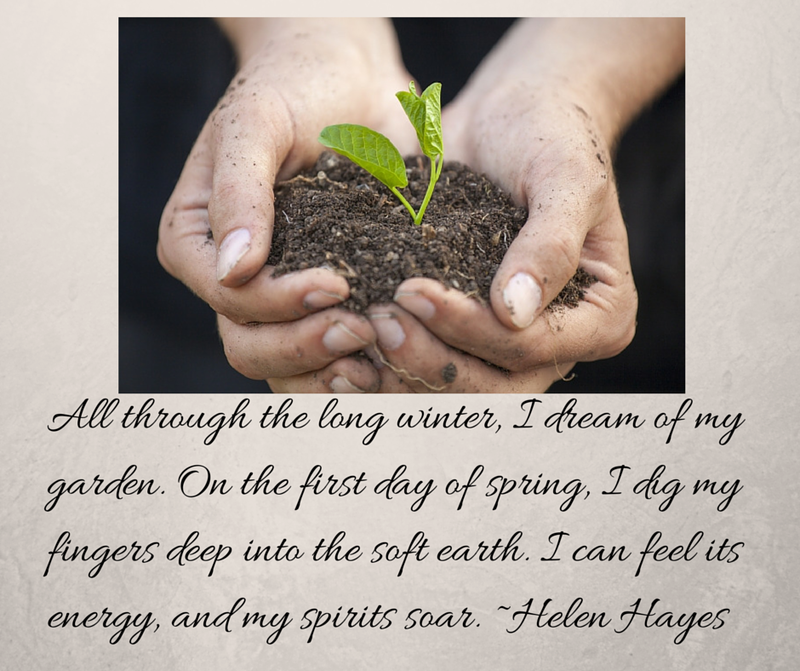 My graphic above is supposed to lift your spirits and let you focus on spring coming. Think about the spring flowers and leafy trees. Think about planting those garden beds and vegetable gardens. Spring WILL come. In fact I am so sure of it, I just released a short guide for Vegetable Gardening, Quick Tips on Vegetable Gardening: Starting Your Garden. My husband, Gardener Ted, and I put together tips and advice for starting a vegetable garden drawing upon his lifetime experience as a gardener, greenhouse grower, and garden center owner. The booklet is only 24 pages long. 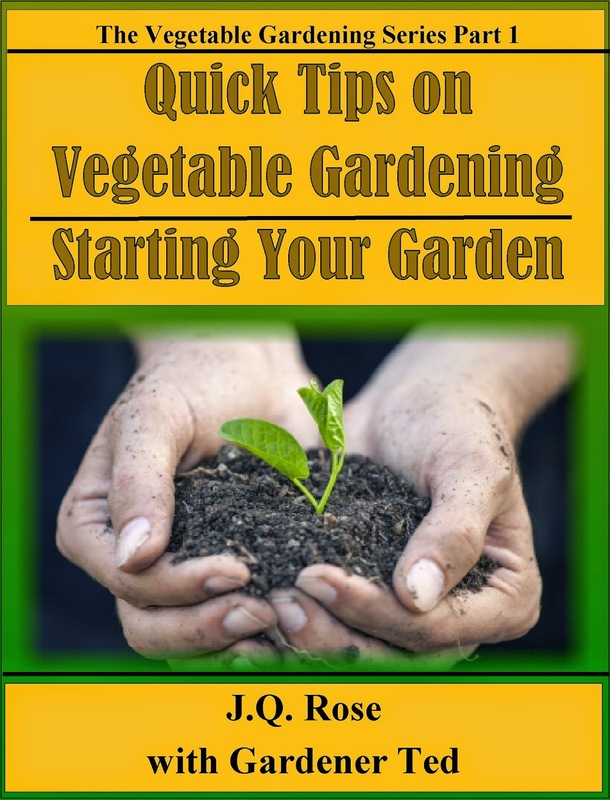 The booklet is crammed with information you can read now and be ready to get a head start on your vegetable garden whether you raise veggies in a garden plot, container, raised bed, or vertical garden. Dig right in to the pages and you'll be certain to be ready for gardening this spring. Take my word for it, Spring is Coming!! If you would like a PDF copy of the eBook to read and review, please email me at JQRose02 at gmail dot com. Do you raise vegetables? Got any tips for gardeners? Please leave a comment below and tell us about your gardening experience.Thank you!! 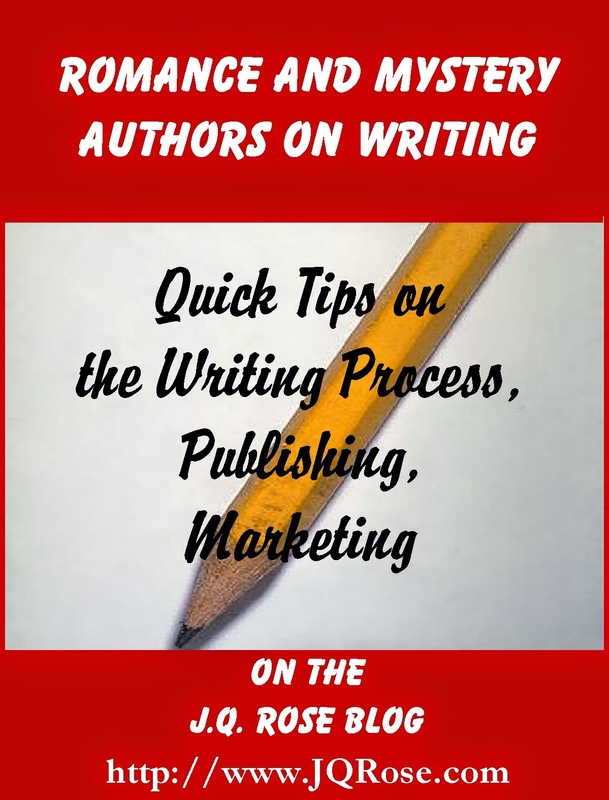 Thursday, February 19--The final entry in the series, Romance and Mystery Authors on Writing, is this Thursday. I have compiled a list of helpful writing websites suggested by my guests. Stop in as I share some of them with you. As a free gift, I'll send you the complete list. Because this series was loaded with such valuable information, I plan to compile the interviews into an eBook this spring to share the authors' advice and new information with you all. Thanks, Anna! Can you believe it's in the amazon top 100 in crafts/hobbies and vegetable gardening categories?